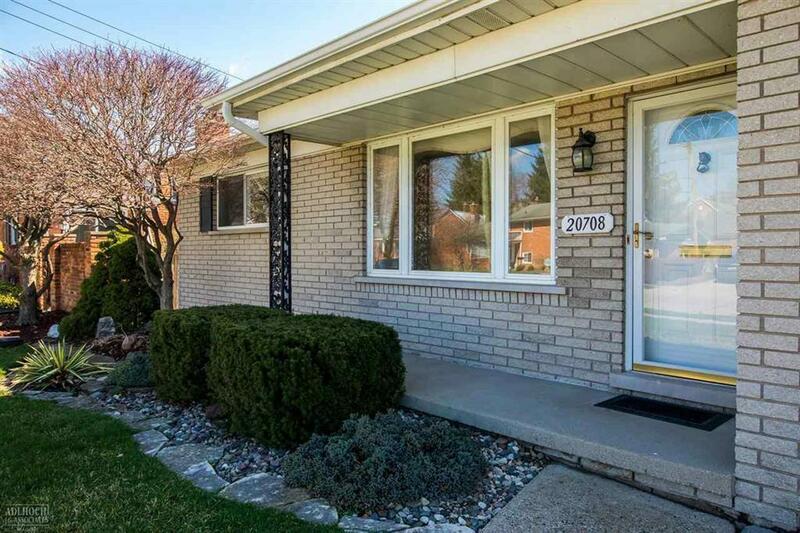 SOLID BRICK RANCH FEATURES 3 BEDROOMS, A DEN AND FAMILY ROOM. LARGE KITCHEN THAT OPENS TO THE FAMILY ROOM WITH A GAS FIREPLACE. HARDWOOD UNDER CARPET IN LIVING ROOM, HALLWAY AND 2 FRONT BEDROOMS AND DEN. ORIGINAL OWNERS HAVE MAINTAINED THIS HOME VERY WELL...JUST WAITING FOR YOUR DECORATING TOUCHES. NEW FURNACE 2012, GUTTERS REPLACED, TEAR OFF ROOF 2008. PLUS AN ATTACHED OVERSIZED GARAGE AND IN-GROUND POOL FOR YOUR SUMMER ENJOYMENT!! C OF O IS COMPLETE.